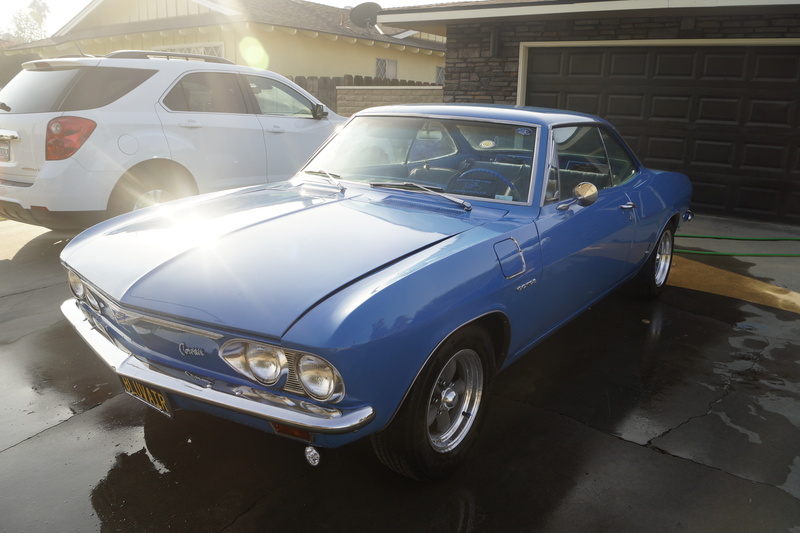 Re: What did you DO / WORK ON ....to your Corvair today? I got the trunk lid of my AutoX car painted flat black. Working on scuffing the rest of the car for a basic white. Today was our local Cars and Coffee. I brought the '63 and a friend brought his '64. This past Sunday, I finished up the left side body work. Still need to sand/prime/sand until paintable, but at least now I am on to the right side! 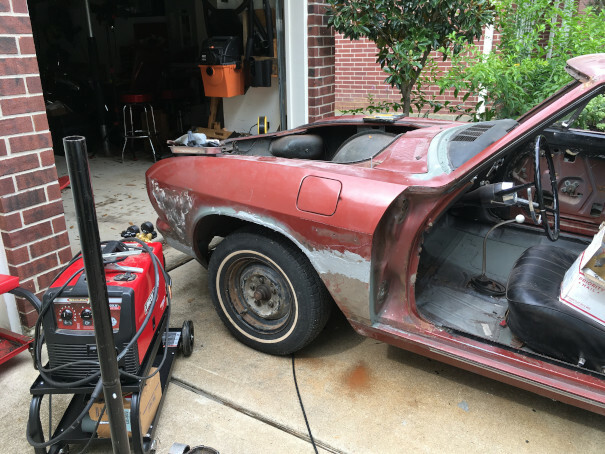 Right side has far less rust and should go quicker. Repro panels already in hand. That lower windshield piece was a real pain (did that a few months ago). Didn't want to use lead where GM originally did, so I used All-Metal. Nice stuff. 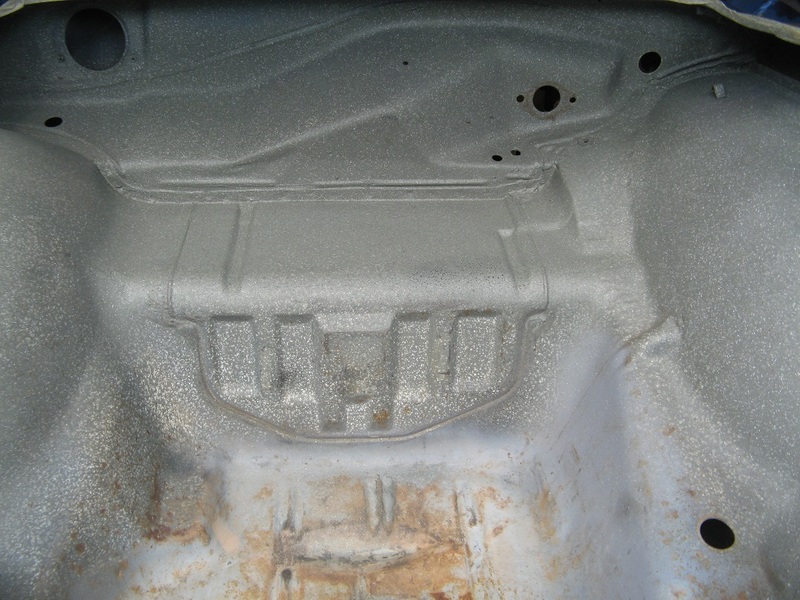 Supposedly expands and contracts more similar to basemetal than a typical body filler. 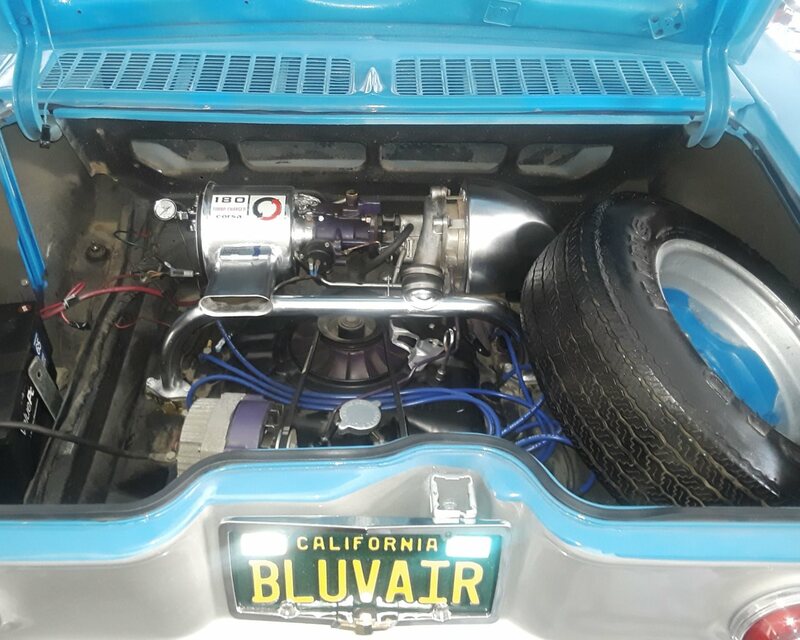 Had the V8 out over the weekend and I took some time to try a few more ideas on the cooling and instead of having a scoop underneath to plow the air into my mid-mounted radiator I installed a splitter plate. Now people don't honk and tell me something is falling off my car undetneath. I also further sealed up the engine cover so that hot air was less likely to recirculate after being pulled through by the dual fans. On a mid-day trip to my friend's house and back Saturday during a 100+ degree day in Phoenix, I was pleased to find the water temps did not exceed 210 where normally I might see up into the 230's in the summer. I was happy with that and even took a venture down the freeway later in the day holding 70 MPH and it never exceeded 220F. Driving in town it will now hold 190. That's good for this ride. I don't want to cut open the front for a radiator so I deal with the heat (but a little easier task now). While I was out I also made a stop at the hardware store. Pics for proof. Other than that smoothed rear vent, and license plate, it looks stock. As long as the engine is not running. Video from 2011 but not much has changed except the vanity tags. Edited 1 time(s). Last edit at 08/14/2018 07:29PM by azdave. Got the body sitting down over the 3800 engine package. Need to figure out alignment and mounting. I was nervous lowering it down, but I did leave enough room. > Need to figure out alignment and mounting. I can't be certain with that mess of wires plopped on top there. Is that the Supercharged 3.8? Yes, that's the L67 3800 out of an '02 Bonneville. You can see the blower snout and pulley there. Edited 1 time(s). Last edit at 08/20/2018 09:35PM by jmaechtlen. 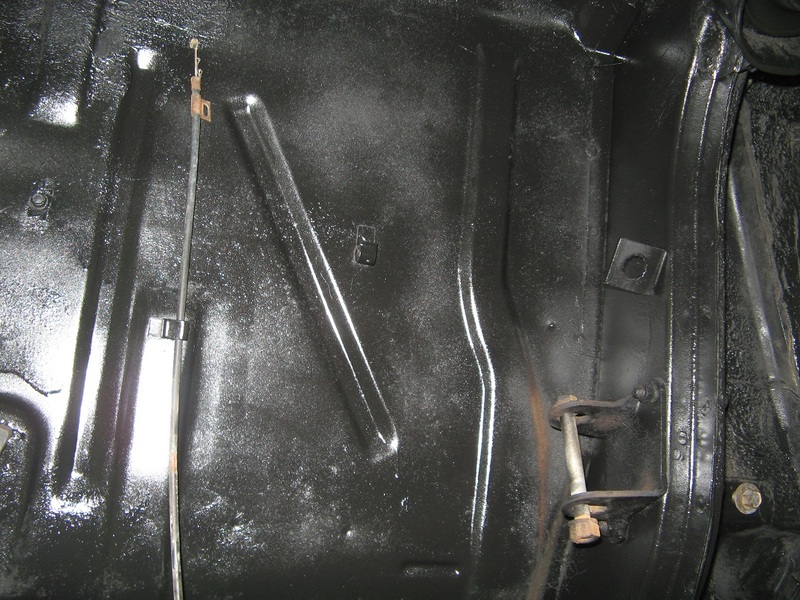 This evening after work I finally got back to work on my LM Coupe painting the rear wheel well areas and the area above and around where the transaxle and heater assembly live then put a coat of paint on the rear crossmember. 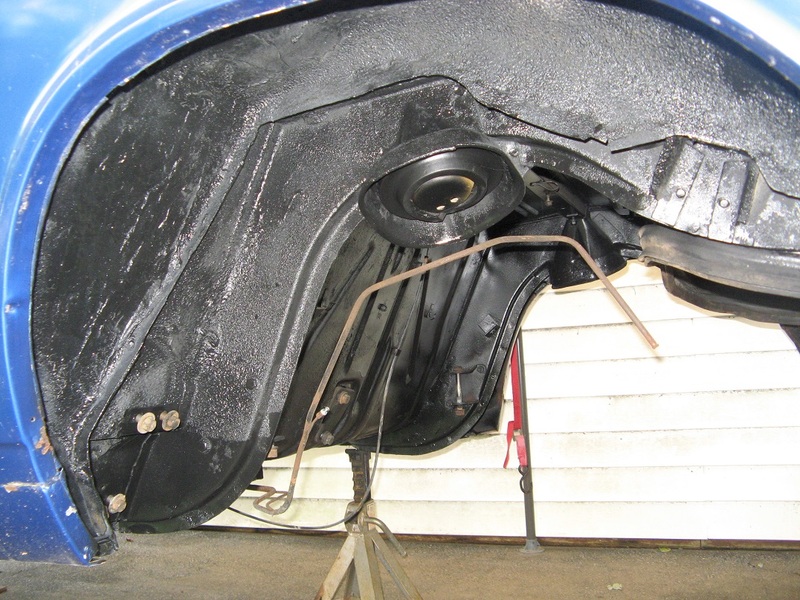 Two of today's photos are of the driver's side wheel well area and one shot up underneath the body. 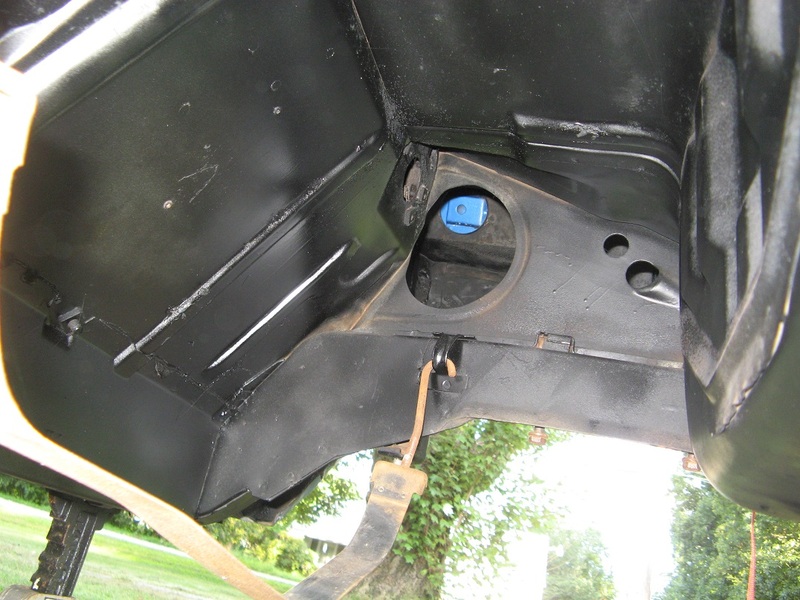 The third photo is of the area where the gas tank and steering column live. I am painting these areas mostly to cover the overspray from when the car was painted decades ago and to give things a more uniform appearance. I keep reminding myself that this is not going to be a show car, but rather a daily driver and it is OK to have imperfection here and there. 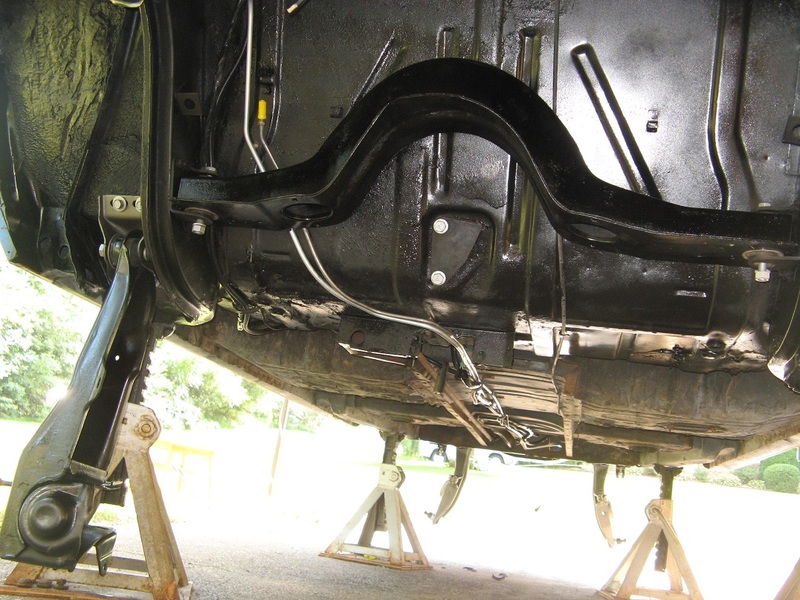 I did buy new gas and brake lines that go from the front to back and they will be going in hopefully this weekend along with the new reproduction section of wire harness while I am under the car. Edited 1 time(s). Last edit at 08/23/2018 05:30PM by Caraholic4life. 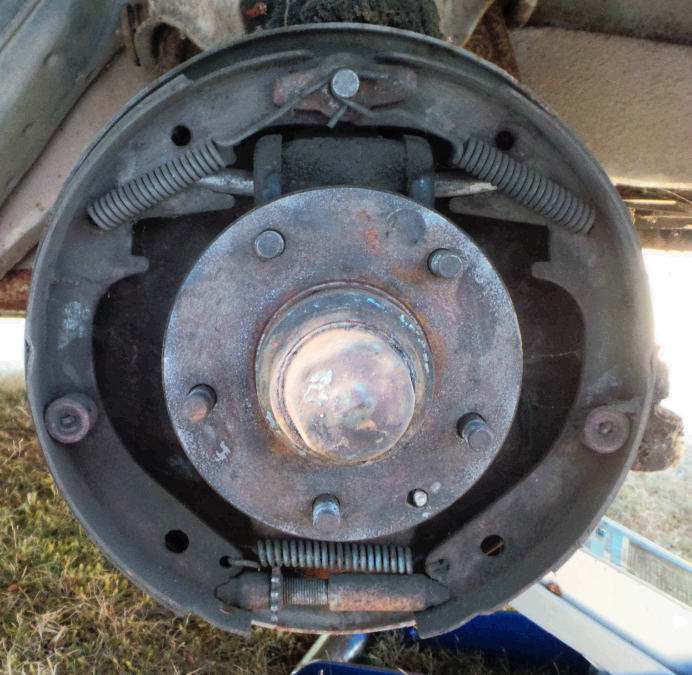 Rebuilding the Front brakes on the Corvair Rampside. 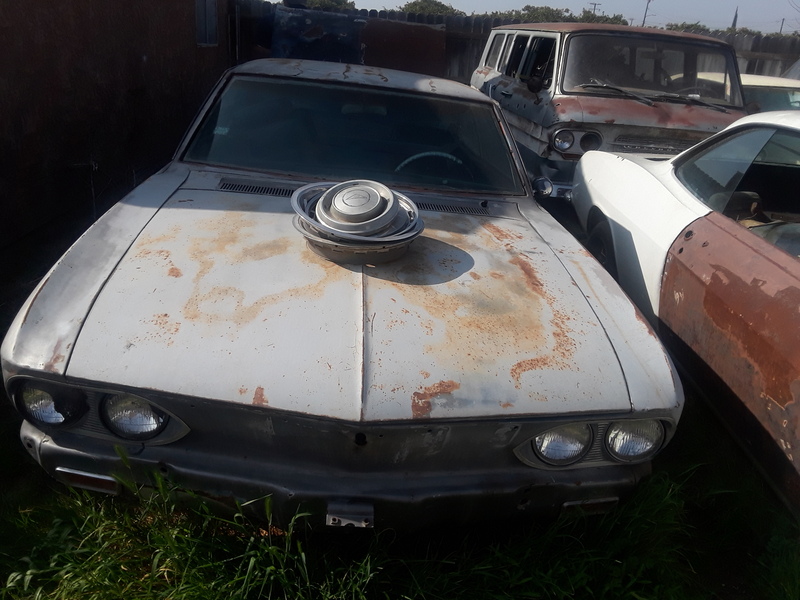 It was sitting for a couple decades, fortunately under a carport on a cement slab. 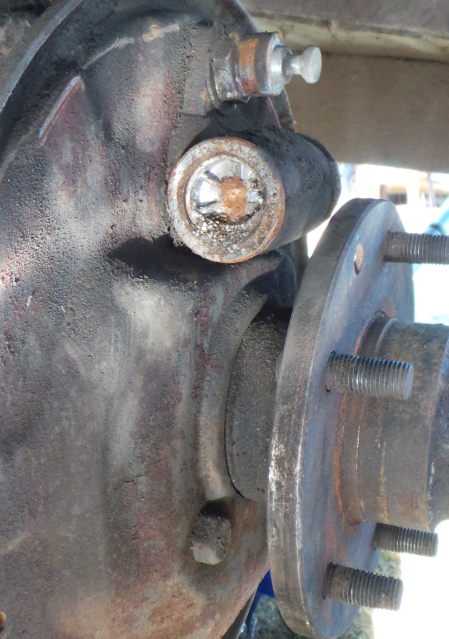 Still, the brake cylinders are not looking good! Corrosion from ambient moisture gets in the tiny gap between the aluminum piston and the cast iron cylinder. In this case the two were locked together! It took an hour of PB Blaster and plenty of smokin' heat from my AC heat gun to finally get the pistons to begin to move. More of the same and finally I was able to get them out. 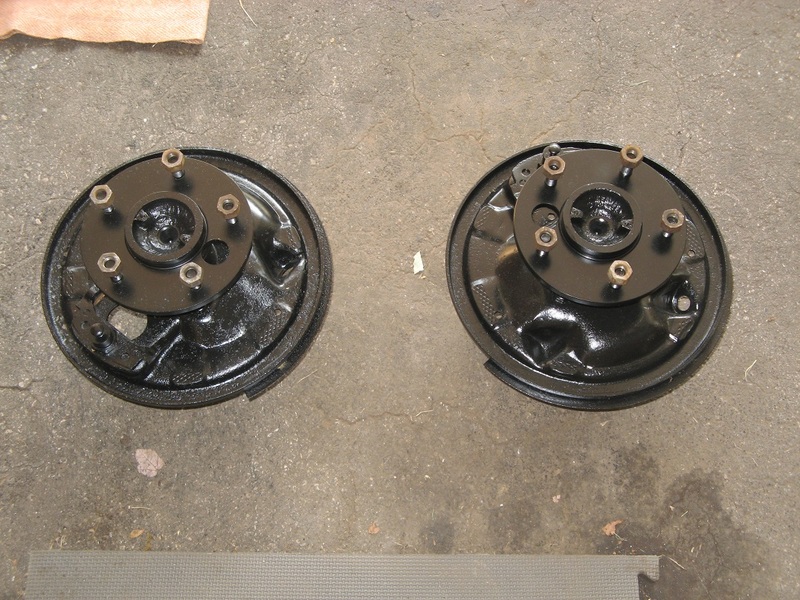 Remarkably, the Original Delco wheel cylinder is just fine to use after a good clean and hone. The pistons were cleaned of their surface corrosion and they too can be put back in service. And this is the result of the afternoon's work. Rampside spent the majority of its years in Eastern Washington - dry desert climate. That has done a great job preserving this one. It's nice to be able to bring it back to fully functional using mostly original parts. A couple brake hoses and shoes is about the extent of new parts. 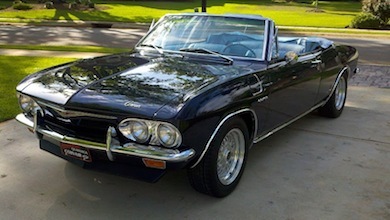 I'm in CDA Idaho and just traded for my first corvair on Sunday.Its a 1963 monza 900 convertible. It has the 102hp 4 speed Manual. It wasn't running well at all(dying, misfiring, stalling). I did the timing following advice from this forum but it didn't help the issue. I replaced the coil today and now it runs like new ! 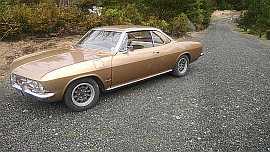 That's a nice first Corvair! Welcome to the CDF! cnicol is your neighbor! Did a little buffing-up of my look with a can of Rust-o-leam "Mirror Effect" on my chrome. Not perfect, but pretty cool. 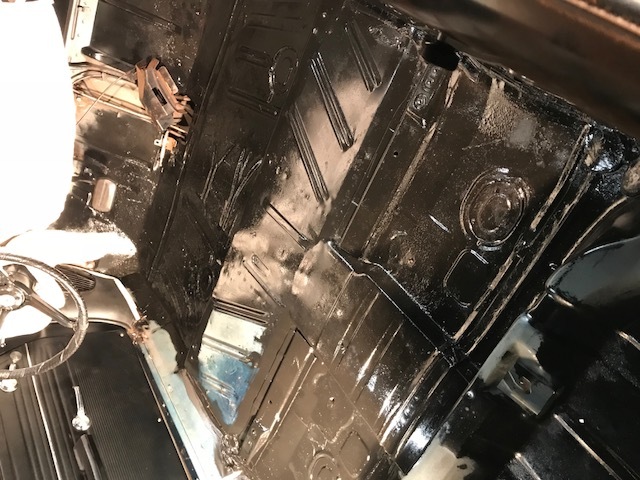 First coat of POR15 on my floor pans before new carpet goes in. 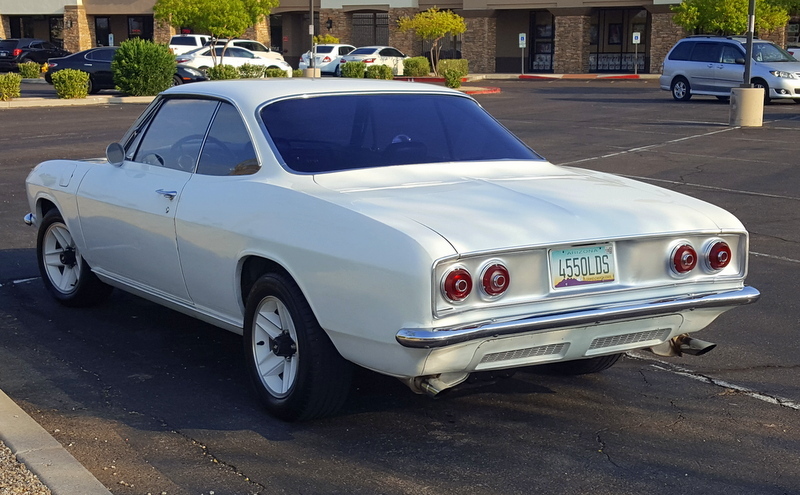 🇺🇸 1967 Corvair 500 110/PG. 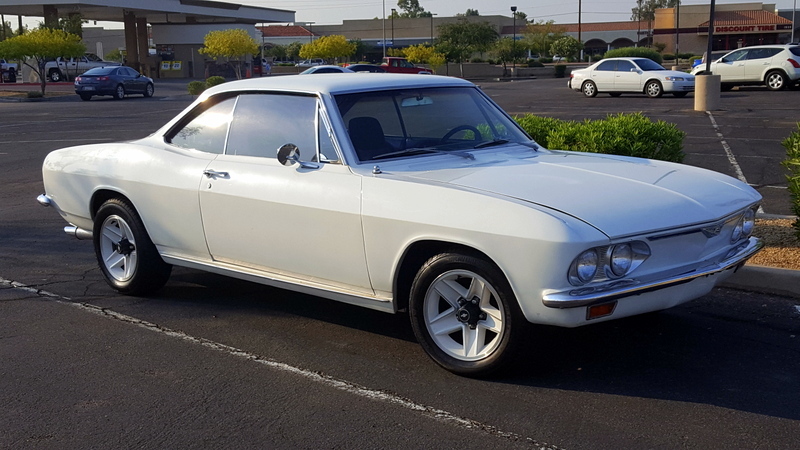 in family since 1969 with 1200 miles(75k currently). 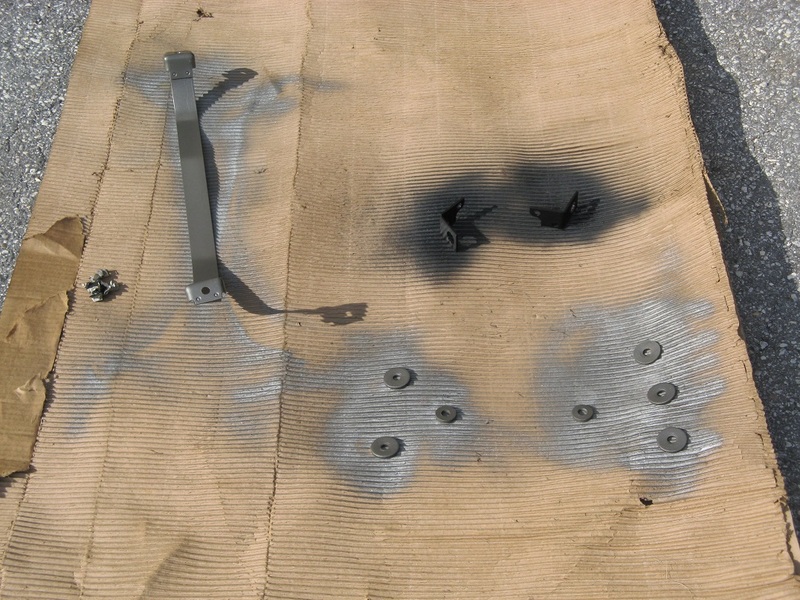 Today was cleaning and spray bombing day for more suspension pieces and a lot of the related nuts bots and washers. 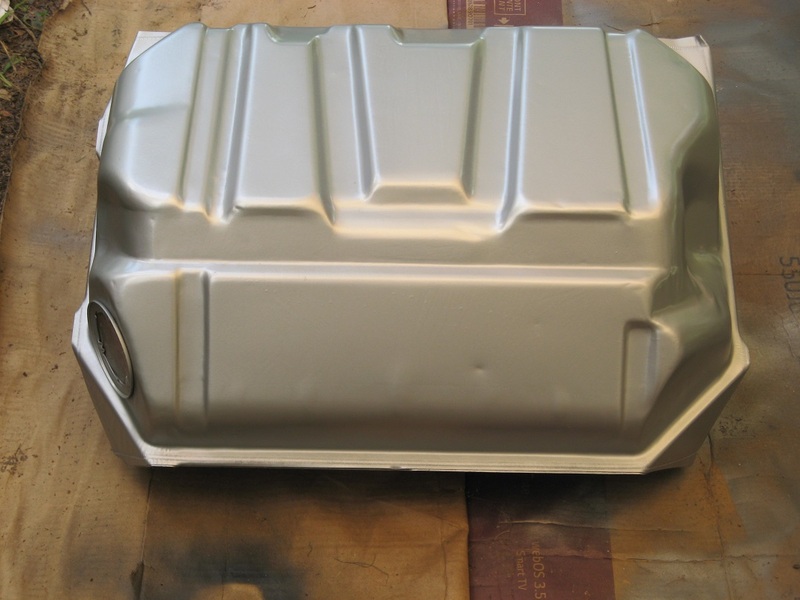 I also started painting the NOS Gas Tank and part of the trunk. 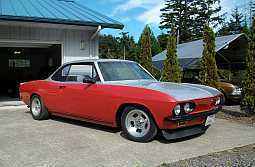 A few more photp's of today's progress along with the rear hubs I had The Corvair Ranch rebuild for me. 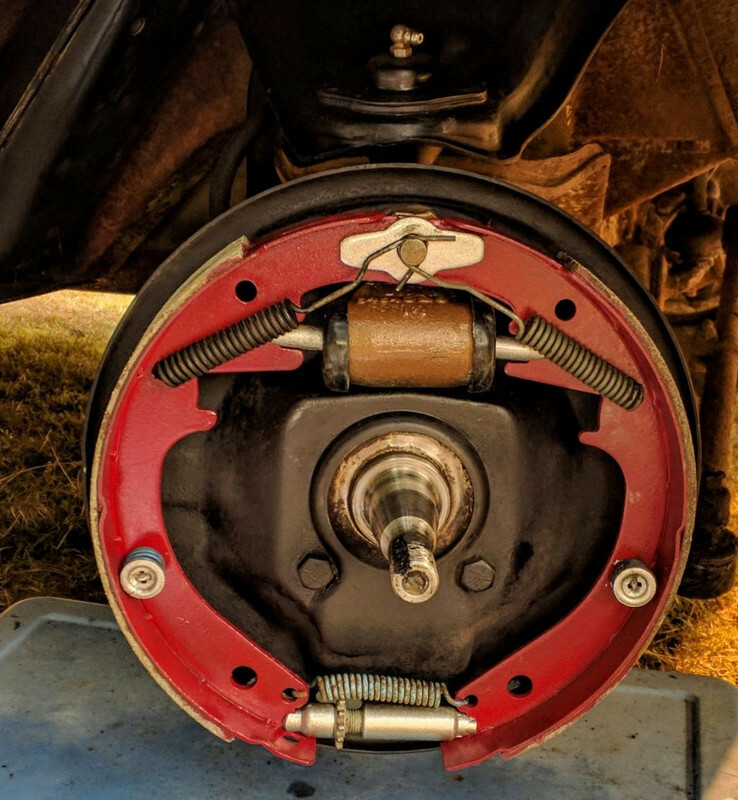 I was not going to trust wheel bearing grease that has been sitting for 35 plus years. 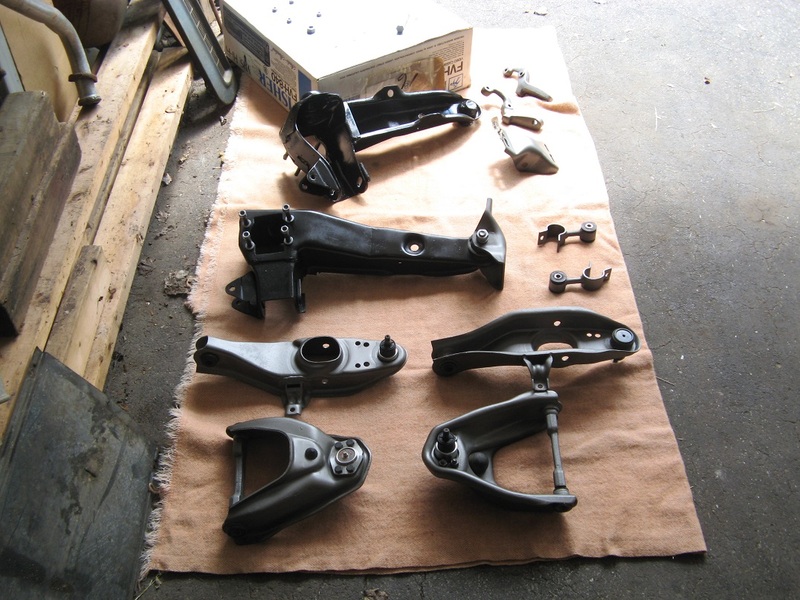 The Ranch also pressed all new bushings in the suspension pieces for me. I am lucky they are as close as they are. Today started with finishing the painting of the gas tank and filler neck. 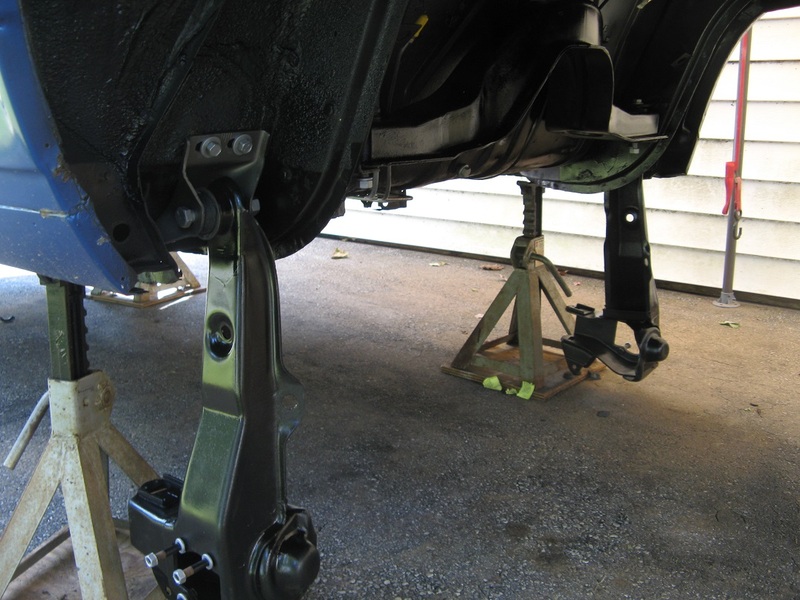 I also bolted in the front and rear crossmembers, hung the upper and lower control arms and trailing arms. 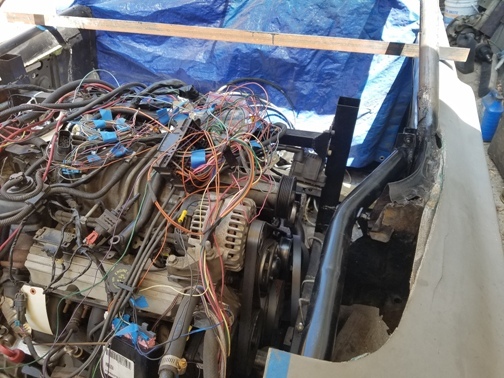 Installed the front to rear brake and gas lines, front right and left brake lines, and the front to rear main wire harness along with a new vacuum line for the manifold pressure gauge. I installed the vacuum line inside 1/4" split plastic wire loom to help protect it from damage. 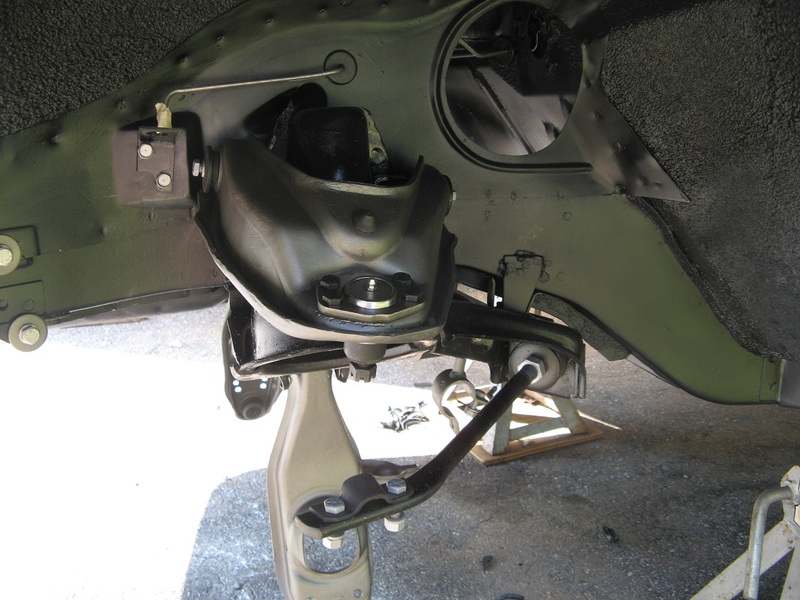 I made sure to apply Anti Seize on the nuts and bolts as I went along. 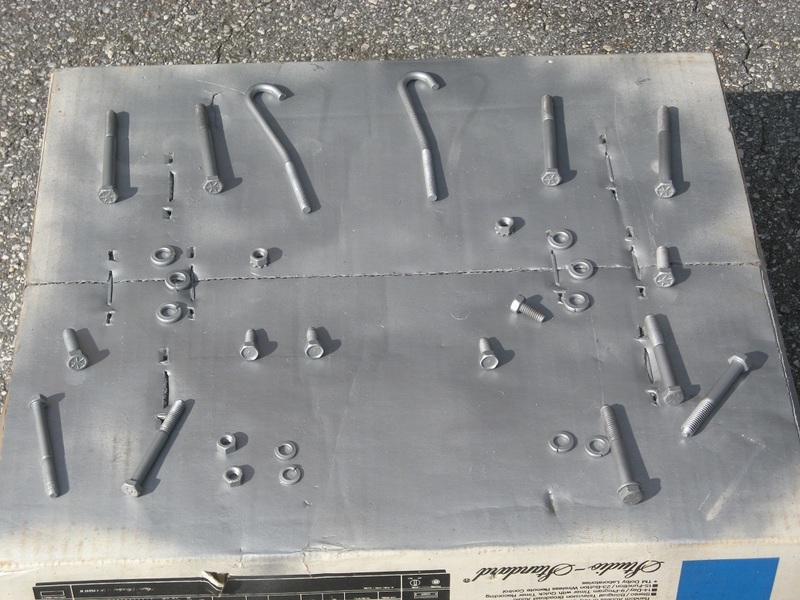 Along the way, I cleaned and painted more nuts bolts and hardware as needed. 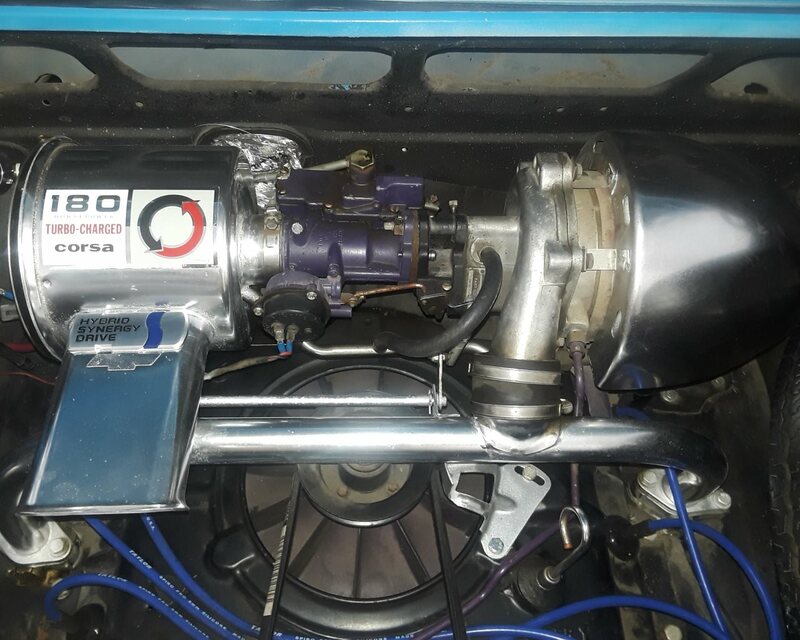 Installed my Weber 45 on the 65 turbo. It has the Ray Seaman progressive set up installed. I was running a 40 non progressive, man what an improvement from that 40. Crisper throttle response off idle and when the secondary opens, boy does it pull strong. It reminds me of the Holley 650 spread bore I ran on a few small blocks years ago.